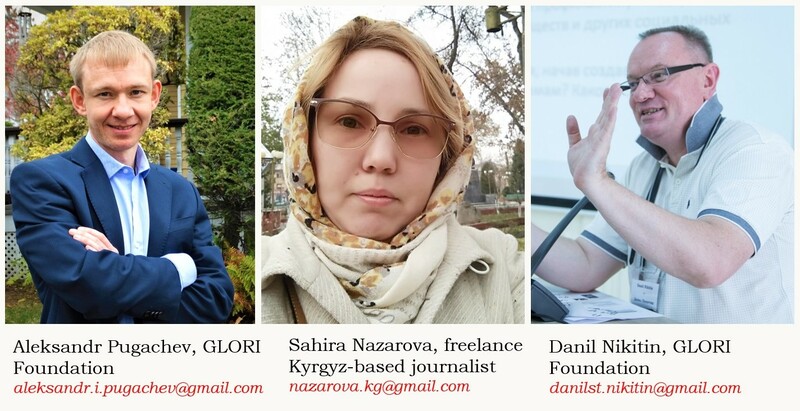 Debriefing on the end-of-the-year achievements, Danil Nikitin and Aleksandr Pugachev of the Kyrgyz-based GLORI Foundation were interviewed by Sahira Nazarova, a freelance journalist in the town of Osh. We are so much grateful to Anne Malin, the Foundation’s Project Coordinator, for her help with editing this interview. Sahira Nazarova: How would you describe the passing year? How successful was it? To what extent were you able to reach the goals that you had for 2018? Danil Nikitin: It was a really exciting year. As before, GLORI Foundation collaborated with first-class experts and collaboratively with them we were able to move forward strategically important efforts. We identified priorities that are going to follow in the upcoming years. SN: I cannot believe – it sounds like you gave up the projects that you had been working on before. Is it true? DN: Oh, no, not at all. We just decided to supplement our agenda, to undertake something new, that would push forward all the programs that we deal with, and make them more effective. SN: Sounds great. Would you give an example? Aleksandr Pugachev: Collaboratively with the HelpAge in Kyrgyz Republic we launched the KG C.A.R.E.S. project that focuses on creating systemic support to the caregivers of the sub-set of elderly with Alzheimer’s Disease and other dementia. There is substantial research on caregivers including the negative impact on caregiver’s own physical and mental health. Increased stress, depression, lack of self-care, isolation and limited social support, and financial pressures, are all reported. The impact is not only on the caregiver and elderly under care, but the entire family unit. DN: When the elder has Alzheimer’s Disease there are additional challenges for the caregiver including lack of information about the disease progression and strategies to manage the communication and behavior change. Stress is also identified as a risk factor for elder mistreatment, and caregiver interventions are recommended as prevention of elder mistreatment and tension between family members. SN: I know, there is substantial evidence-based research focused on caregivers and successful intervention components. Outcomes for these studies include increased self-care, improved physical health, reduced levels of depression, reduced perception of situation burden, reduced stress symptoms, skill-building for caring for elderly, and improved social support. Is it true that such a program is going to appear in Kyrgyzstan? DN: Yes, it’s being designed, and we are going to launch it soon. The proposed name is KG C.A.R.E.S., it stands for Caregiver education & training, Advocacy, Research, Elder mistreatment prevention, and Services development. It will address the multi-level issues involved in topic area of caregivers, elderly, and mental health. KG C.A.R.E.S. strategies will focused on the individual level, community level, and society level. SN: That’s really great. Who is the Principal Investigator for this project? AP: Professor Tazuko Shibusawa of the New York University, who is a globally renowned researcher and expert in aging, is our Principal Investigator. Also, on behalf of HelpAge the project is being coordinated by Dr Nurdin Satarov who has multi-year experience in managing projects that aim at elderly’s wellbeing improvement. SN: The program is going to be really innovative, as now there is no such program either in Kyrgyzstan or in other countries of Central Asia. DN: Also, we will keep working on prevention of gender-based violence and strengthening gender equality. Gender-based violence remains a serious public health and social threat in the world, regardless to economic status of the countries or regions. Unfortunately, there is lack of sustainable mechanisms in place for changing behavioral stereotypes and developing negative attitude towards violence by government agencies, local communities and the victims’ social network. Collaboratively with highly motivated gender experts Tatiana Musagalieva of the Harm Reduction Network and Margarita Sabirova of the Prosvet Foundation we designed a training course that focuses on strengthening gender equality at workplace. The overall philosophy that we’re promoting through the course, does not call for similarity of men and women but rather encourages to promote equity. SN: Whom do you suggest to try on The Equalizer’s hat? DN: It has to be a systemic approach that is supported by smart bosses and staff members, and builds on proper labor legislation, fair operating procedures, up-to-date rules and regulations, and also appreciates role of staff members who have to be proactive while discouraging anyone to perform gender-based violence against themselves. Gender equality assumes legal equality between men and women. 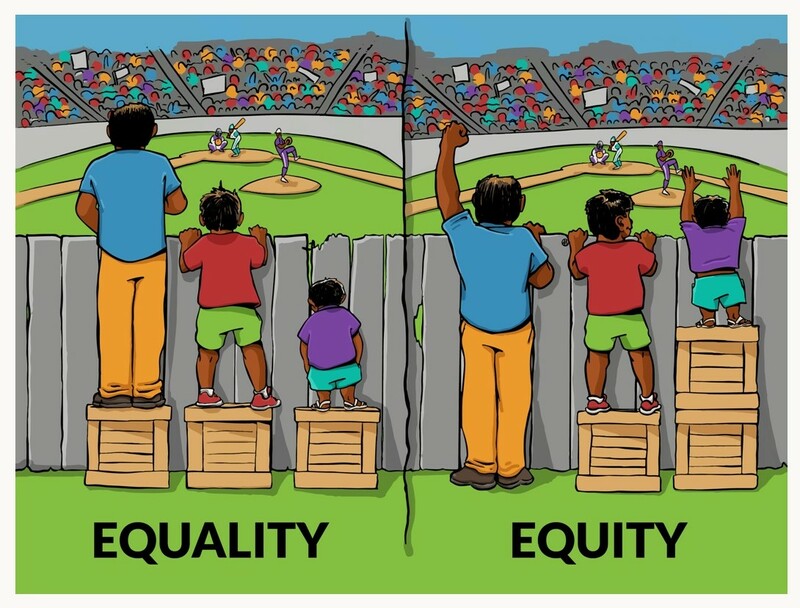 SN: The terms “equality” and “equity” sound pretty similar in Russian, so do they mean the same? DN: I would distinguish between them. Look at the picture that we discussed at a recent training, and you’ll see the difference. Fine-tuning this course and conducting it on regular basis will be one of our team’s priorities for 2019. SN: Thank you. What else are you planning to do in 2019? AP: We are planning to work with UNDP in Kyrgyz Republic in designing innovative solutions for strengthening capacity of the community-based crisis centers whose staff are usually the first responders who have to provide help to a victim of gender-based or intimate partner violence. We really like the idea of encouraging thinking of innovative and creative solutions to the old issues. 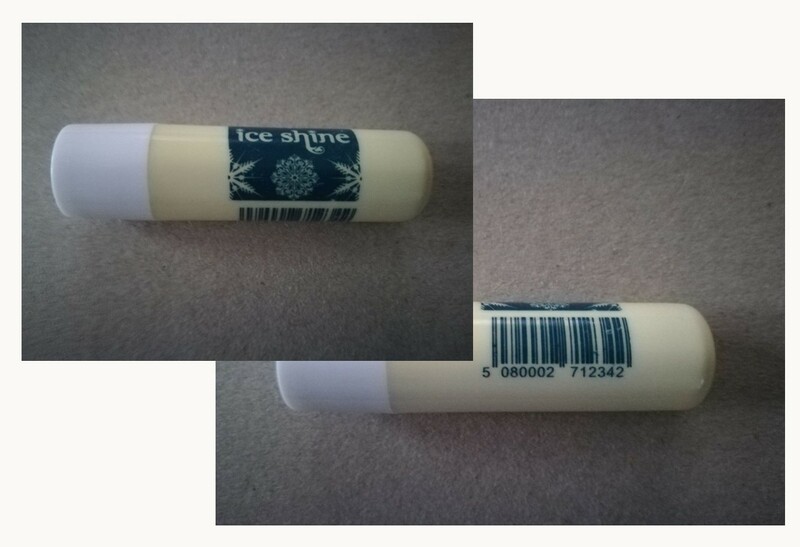 For example, in Scotland, lip balms are available in public places; at the doctors surgery, maternity clinic, school etc. When women pick them up, they are told about the number they can call for help and advice. Hidden as a bar code is a phone number. Women can carry it with them without fearing that it will be found. 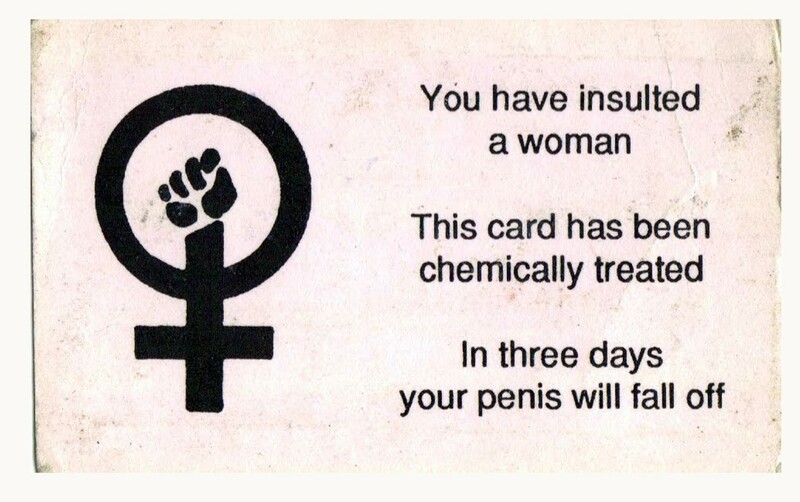 Or, in London women can pick up the specially designed cards while travelling on the underground trains. They are intended to be a bit humorous, but get the message across to perpetrators by making them feel — however short-lived — ashamed or worried. These are just several examples of what can be done to make the equality-focused efforts more diverse. As recently one of our colleagues mentioned, it’s time to be creative and proactive and not worry that there won’t be a chance to apply the creative solutions — there is so much violence, crimes and other disgusting issues and troubles happening around that anything innovative that we propose, justify and apply, will be so much appreciated and applicable. SN: For many years your agency had been working with agencies that provide services to drug users. Are you going to keep collaborating with them? We all know that although in Kyrgyzstan there are no legal barriers to the implementation of treatment and preventive programs associated with socially significant diseases, and equal access to treatment is guaranteed by the Constitution and other legislation, however, association with socially disadvantaged populations, stigma, lack of documentation, insurance and registration with health facilities create barriers to access to prevention, treatment, care and support. DN: Yes, by all means. Our prior experience is so valuable. With support from UNODC and WHO, collaboratively with Harm Reduction Association and Partnership Network we are implementing the S-O-S project (stands for Save Overdose Safely). It focuses on improvement of services to the victims who overdose on heroin, and advances access to naloxone. SN: Who are your partners at this project? DN: We have a great project team. It’s coordinated by Kubanychbek Ormushev and includes Aibar Sultangaziev and Sergei Bessonov, as well as their professional networks. But the project is not limited by Kyrgyzstan, it’s a multi-country implementation study that includes the whole scope of partners in Ukraine, Tajikistan and Kazakhstan. Professor Paul Dietze of the Burnet Institute in Australia is the Principal Investigator. SN: Yes, great. The innovative nature of your projects is so obvious. It’s good that GLORI Foundation has capacity to integrate the efforts and experience of international and Kyrgyzstan-based universities and research centers, and create an efficient environment for cooperation between governmental, non-governmental and academic institutions. Such cooperation supports the efforts of researchers to develop culturally informed, evidence-based research upon which to build pragmatic and feasible programs. Let me wish you and your team all best in the coming 2019. DN: Thank you so much. You are right, research does not have to aim at data collection. A high-quality research has to focus on improving quality of life, and this is what we have been doing through our projects. And we are so happy to be surrounded with colleagues and supporters who push us to perform better. Let me wish you happy 2019 too – higher goals and higher motivation to you.